There’s one particular thing I always looked forward to when thinking of my future babies – dressing them up! Bugaboo feels the same way about its babies and this latest limited edition model Cameleon is dressed to the nines in a brand new colour. The Limited Edition Bugaboo Cameleon in Ocean will thrill those with a penchant for the colours of the sea and those wanting a more rarified pram than the usual. Only one thousand are to be made, with stock available in the US from November. We’re guessing that the question of whether toppings will be available for separate sale will be answered with a definite no. We think you’ll agree that the matte black Cameleon frame and basket fabrics perfectly compliment the ocean hood and seat topping. Of course the bassinet apron is also the ocean colour. Bugaboo is sure rolling out the new releases right now – see our past editorial on Bugaboo (we’ve done seven articles in the past five weeks!). We’ll keep you up to date with any news of Ocean stock for Australia. 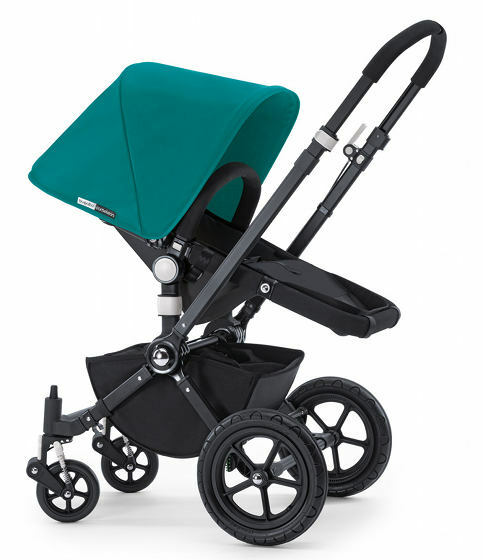 In the meantime, check out our fabulous pram Chooser so you can compare the Cameleon with others on the market! Update – David Jones stores in Australia will be exclusively stocking the Ocean Cameleon from January 2011!